A man has been arrested in the Paris region as part of the investigation into the November 13 attacks in the city, sources close to French police say. Some 2,700 raids have been conducted since the attacks, with 360 people placed under house arrest across France, the AFP reports. Police have also arrested two people in northern France suspected of supplying weapons to one of the gunmen in earlier attacks on Paris, reports say. They were taken in for questioning. 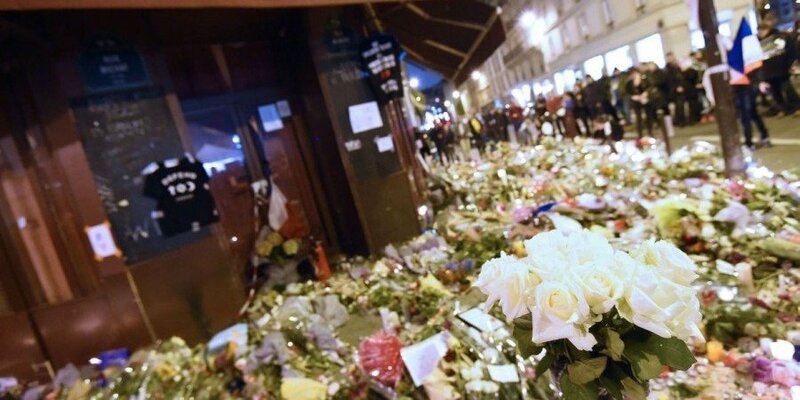 The 29-year-old man arrested on December 15 was planning to travel to Syria, according to one French media report. The Paris prosecutor’s office says the two people arrested in northern France were held on suspicion of helping to provide guns to Amedy Coulibaly, who attacked a kosher supermarket in January. The prosecutor’s office confirmed that the man arrested was Claude Hermant, who is known to have links to far-right groups, while the other is his partner. Amedy Coulibaly killed four people inside the supermarket, and separately a policewoman, before dying in a shootout with police. Meanwhile, a prominent Islamist preacher, Sven Lau, has been arrested in Moenchengladbach, western Germany, on suspicion of supporting a group linked to ISIS militants, and recruiting fighters for it. Sven Lau – a convert to Islam – is known for a series of controversial initiatives, like setting up so-called Sharia police patrols to enforce Islamic rules in the western city of Wuppertal. The state interior minister for North Rhine-Westphalia, Ralf Jaeger, said the state authorities were trying to monitor hundreds of Islamists they believed were willing to use violence. It is known that the two Stade de France bombers arrived on Leros aboard smugglers’ boats on October 3, then left for Athens with four other men, who have not been seen since. A travel agent in Leros, who unwittingly sold the two bombers ferry tickets to Athens, says he is reasonably sure he also served Abdelhamid Abaaoud, who stood out from hundreds of other migrants because he spoke French. A trustee at the main island hospital also claims Abdelhamid Abaaoud came to the hospital to be treated for a minor leg wound. He claims Abdelhamid Abaaoud appeared nervous and suspicious, and offered a €100 ($110) bribe to jump the treatment queue. Belgian and French officials say Abdelhamid Abaaoud, a Belgian Islamist of Moroccan descent, organized November’s attacks which killed 130 people. Abdelhamid Abaaoud was known to have been living in Athens in January this year, but fled to Syria after a failed attempt by Belgian police to catch him.